This is a photo of the counselor group that Kameron is in. 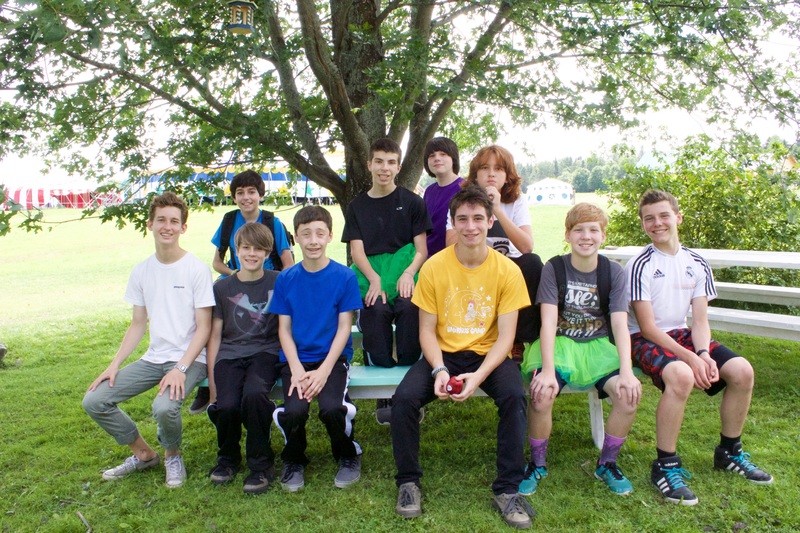 Nine teenage boys and one counselor. Yowza! 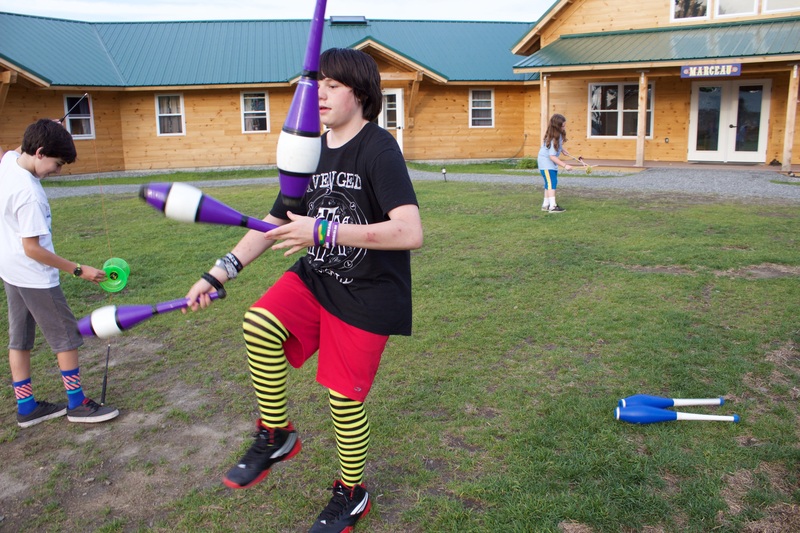 Here are a few more photos for Kameron’s friends and family from the Cirkus Smirkus Session IV photostream. These, I believe, are from Tuesday, July 21 — Deb McAlister-Holland. 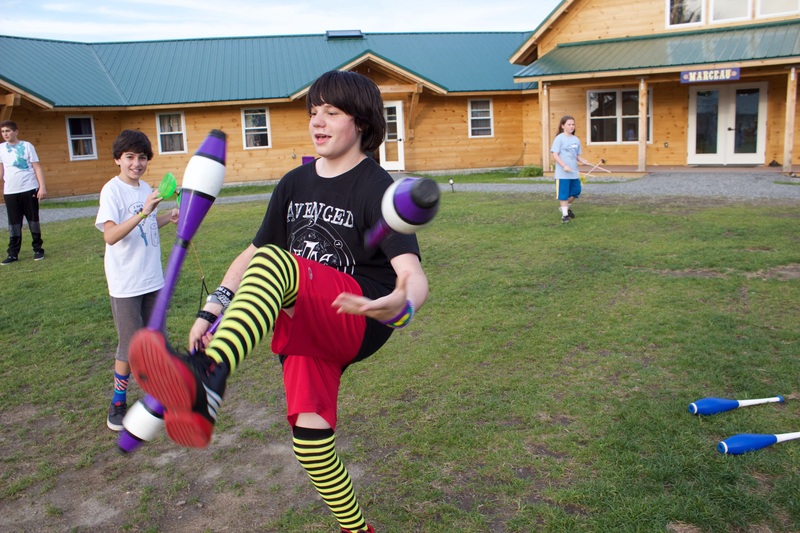 It’s TuTu Tuesday at Smirkus Camp — but I have been reliably told in the past that it is not possible to pass clubs under your leg wh ile wearing a long tutu. So I presume that is why Kameron is not “properly’ dressed in these juggling photos.